Know what should be in your employees benefit package. When you work at for any company or business, they need to compensate you for all that you do. Although, employees deserve more than financial compensation at their job; they deserve to have their health and overall lives protected as well. Malden Solutions strives to work with employers to offer the most comprehensive benefits packages to their hardworking employees. Understanding the components of an employee benefits packages is much simpler than you might think. A standard item included in most employee packages, health insurance plans provide coverage for a variety of outpatient and inpatient services. 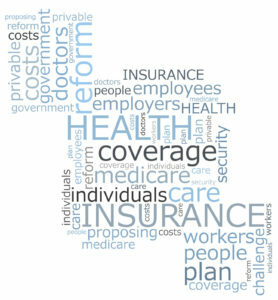 If you are an employer, there a variety of health insurance plans you can offer to your employees. Health Maintenance Organization (HMO) plans provide the most coverage for preventative care such as regular check-ups and physicals. HMO plans are desirable to employees who see their primary care provider regularly for preventative care. Another health insurance plan that is desirable amongst our clients is Preferred Provider Organization (PPO) plans which are desirable for employees who see a specialist on a regular basis. Employees can see any provider in their network without a referral and are responsible for co-pays when seeking non-preventative care. One of the most vital insurance plans you should offer your employees is disability insurance because they should be protected in case they are physically unable to work. Short-term disability insurance covers anywhere from a few weeks to a couple of months an employee is out of work. The long-term options can cover an employee anywhere from a few years to the rest of their life. Long-term disability insurance is critical to offer because one in for employees will face a long-term disability at some point in their work career. It is important to note that the disability insurance options do not overlap, so you can apply for long-term disability once your short-term policy is finished. This entry was posted on Wednesday, January 10th, 2018 at 2:42 pm. Both comments and pings are currently closed.